Plastic bags will be banned from use in Qld from July 1. Environment We all know about the bag ban, but there is a growing problem in Australia that needs to be addressed — and you’re probably guilty. Environment Following Woolworths and Coles getting rid of single-use plastic bags, there is now a push for the supermarkets to go even further. Environment Coles and Woolworths will effectively pay you to bring reusable bags in the latest move to make life easier for customers grumpy due to the plastic axe. 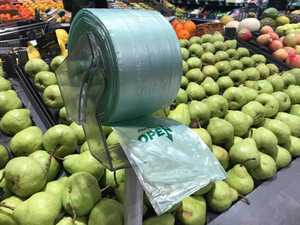 News CUSTOMERS up in arms about the recent plastic bag ban have prompted a surprising reaction from Woolworths just one week after the policy was introduced.